So it finally happened, the ending, the conclusion, the final round between good and evil. I didn’t want it to end. Once more Madame Blake takes us on a magnificent journey, time has passed since Anna Korlov made the brave decision of descending into hell to save Cas and his friends, and while everyone is grateful for her sacrifice the only one to still ponder about it is Cassio. Where did she end up going? Is she content? And what of the Obeahman, is he truly gone? Thankfully all these questions and more get revealed in this stunning sequel. Cas is restless, angry and generally heartbroken, he feels that nobody really understands and I think in a way he cocooned himself from life itself. He is haunted by visions of his beloved Anna causing him to lose sleep, and if that’s not bad enough our once ghost busting trio have a rift. If I saw anyone who might want to reconsider their role in the group, I wouldn’t have called that person out first. I guess sometimes supernatural experience can either make you bond together like The Ghost Busters, or fall apart like so many music bands we know today. Despite their fallen member Cas’s waste no time in conjuring his next move. Rescuing Anna— which everyone is so against it but you know what they say “love makes you do crazy things”. I just would never imagine venturing into the deep red tomb of evil would be it. It’s a bloody fantastic ride to get there let me tell you that. However, they can’t do it alone and a trip to England is proving to unfold many mysteries and a new ally/enemy named Jestine. The best way to describe this girl would be as Cas’s female version, but more mature? Perhaps just knowledgeable and better skilled? The part where they venture away to London though does highlights some very interesting places I did not know about and perhaps I will want to see from afar of course. Either way I was torn between being thankful that she was there when they needed help and hating her when we find out her true reason for sticking around and what it might mean for Cas and his position as…the guy who fights which goes bump in the night? All in all I felt the book was too short, I knew it had to end but it happened way too soon so that is just my little thing, overall I enjoyed it Anna got what she deserved. Of course the sappy romantic in me wanted them to be together…even if he had to die…THERE I SAID IT I WOULD HAVE NOT MINDED IF HE DIED! Wow that feels nice to let that out. I think though, reflecting on the ending again, it kind of showed mirrored what we all wanted, or at least what I wanted. that even in death, love triumphs all or something of the latter. The selfish part of me also says that it wouldn’t be a bad idea if she did continue with this story…just one more, but I know that won’t happen so I’ll settle and just let it continue in my head. 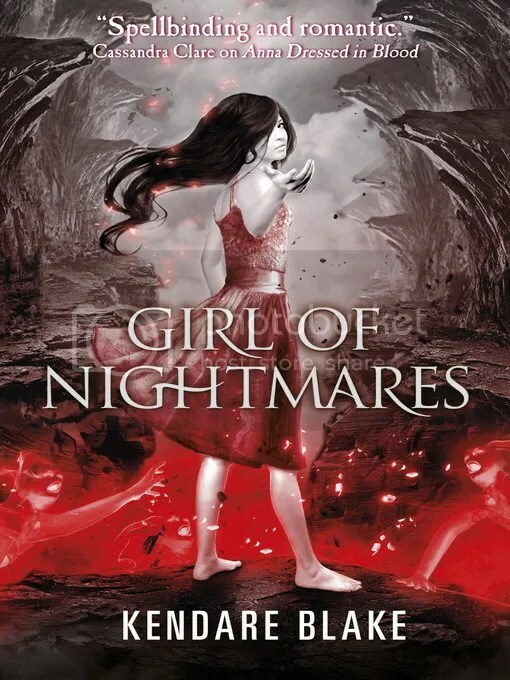 This entry was posted in 2013, Reviews and tagged Book Reviews, Dreamingwithink, Horror, Humour, Meli, Nostalgic Tales, Paranormal, Romance by dreamingwithink. Bookmark the permalink.